Ever wondered what the difference is between your bae and your BFF? Have no idea where the string goes on a YOLO? Do you still think that literally means ‘literally’? Maybe you’ve just plain old got the wrong end of the selfie stick? 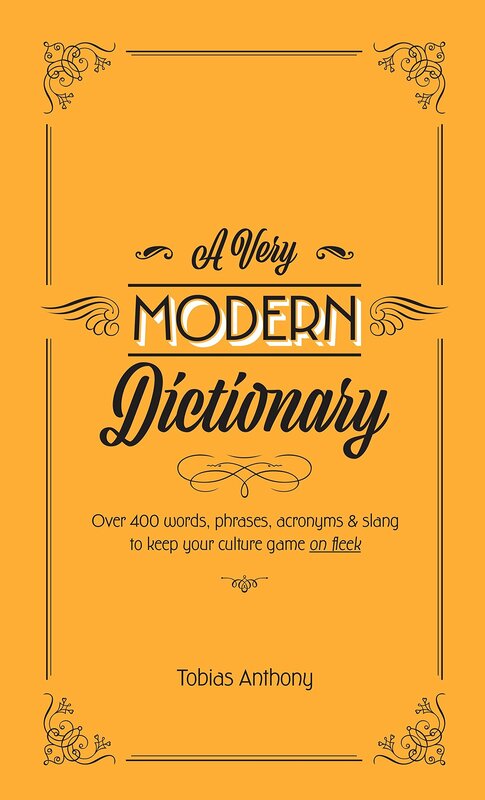 A Very Modern Dictionary is an invaluable reference for anyone who has felt confused, befuddled and like, really, really old when trying to navigate the ever-evolving landscape of modern communication. With over 400 words, phrases, acronyms and portmanteaus that define the modern age, we’ll have you #winning in no time. Tobias Anthony is a writer and academic living in Melbourne, Australia. He is completing a PhD in Creative Writing at The University of Melbourne where he teaches fiction and non-fiction writing, as well as screenplay writing. He is the recipient of the 2015 Affirm Press Creative Writing Prize, and the manuscript of his first novel, Barely Anything, is currently under development.